The Children's Book Drive, which collects books for delivery to schools in low-income neighborhoods, has collected its 20,000th book! 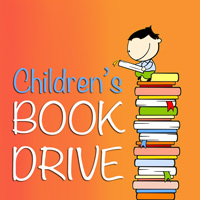 With 688 books in this year's drive, the project has collected 20,023 since it began in 2001. Student Literacy Corps tutors are sorting and delivering the books now. Thank you to everyone in the community who has helped make this initiative a success. 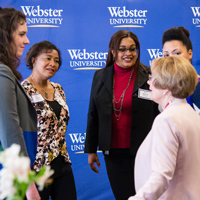 A $15,000 grant from Maritz will continue support of the Webster University Student Literacy Corps and Math Tutoring Program. "This grant will ensure that Webster students can continue to tutor and that struggling readers will continue to enjoy the additional support and encouragement tutors provide," said Kate Northcott, director of the Student Literacy Corps, which began in 1990. St. Louis’ growing population of English Language Learners has only increased the need for such engagement, she said. Webster Student Literacy Corps collected 1,479 books for children this year. This year's Webster Works Worldwide Children's Book Drive was one of the best in the 15-year history of the drive: 1,557 books were donated by members of the Webster University community. That brings the total to 15,161 books donated since the project began. Donations are still being accepted as part of a project in the keystone course, "Equity in Education."